2013 'Superstar Records' - 49:55/13 - gatefold cardboard sleeve. 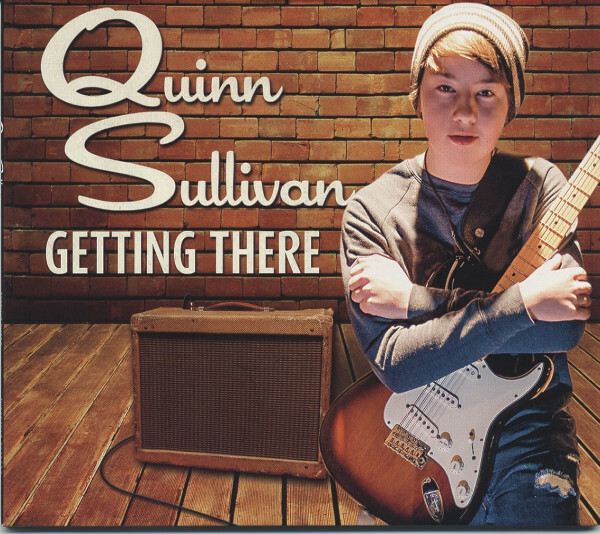 Two years after his debut, 'SuperStar Records' presents the follow-up CD by young Quinn Sullivan. Produced by Tom Hambridge. Is this our future? The kid is merely 13 years old, and he sure can play. But Hambridge, born in 1960, has written all the tunes. The heck with it! Customer evaluation for "Getting There"